Well, we’re moved that you’re moved. But first, New Orleans. If you have something against places that have both cosmopolitan appeal and small town charm, you’re out of luck. If you’re not interested in rich history or a robust creative community, this isn’t the place for you. And if affordable living and stupid easy commutes aren’t your jam, you might want to look elsewhere. New Orleans isn’t for everybody, we get it. And then there’s PETERMAYER. We’re New Orleanians but come from all over – San Francisco, New York, Chicago, Los Angeles, Philadelphia, Portland, Seattle, Atlanta, Austin, Detroit, Minneapolis and somewhere in Spain. Our experience spans from Madison Avenue to Silicon Valley to Singapore. We’re experts and neophytes. And we’re constantly looking for other interesting people with diverse skillsets who are willing to share the best ideas in the industry. Working here comes with all the usual agency benefits like vacation and all the insurances. But our unusual perks are what set us apart. At PETERMAYER, we’re looking for an experienced designer who is a broad thinker and kind collaborator to help us move people. So grab some coffee, or whatever, and read through the list of things below. If this sounds like you, then we’d love to hear from you. Hop on. Supports the efforts and vision of the Studio Director. Shepherds creative designs from design through production to ensure industry best practices and the highest quality of work. Encourages and facilitates productive teamwork with the creative department and other designers who share responsibility on a given product or service. Designs, optimizes and manages design files, across all media, to ensure standards and delivery to outside vendors. This is done primarily using the Adobe Creative Suite and can include resizes, fixes, updates and preflighting deliverables. Adjusts technical/mechanical design features as well as photo retouching/image manipulation tasks that relate to any prepress design needs. Delivering and receiving these files/proofs may also be required. Contributes to the efficiency of the design and concept workflows within the agency, including working on multiple projects and working with multiple departments. Keeps apprised of and is knowledgeable about current trends and innovations in the industry. 5+ years overall graphic design experience in a high-volume workplace. 2+ years of digital specific design experience will be a strong consideration. 1+ years animation and display advertising production experience using programs such as Hype, Animate, After Effects, etc. High skill level in Adobe creative suite including but not limited to: InDesign, Photoshop, Illustrator, Acrobat Professional, XD; as well as timeline animation software such as After Effects and/or Animate. Solid understanding of both traditional and digital production practices. Knowledge of mechanical file specifications. Familiarity with all file formats and file conversions. Strong critical thinking skills and keen attention to detail. Ability to work under pressure without compromising performance or accuracy in a deadline-oriented environment. Team player with a strong sense of personal accountability. Adobe Certification a plus but not required. Digital portfolios are required of all applicants. Peter Mayer encourages and enjoys diversity: cultural, ethnic, religious--it all just adds to the flavor of our gumbo. We are an EOE. We’re a strong and stable, 50-year-old agency – but we’re also a young upstart. We’re retooling this agency to serve the client of the future – while supporting a pretty awesome client base currently. We have a vibrant and supportive agency culture that’s after the best creative and strategic ideas. And we are looking for a head of planning to help push our strong leadership to the next place. The Director of Brand Strategy is responsible for leading our team of brand strategists and social media strategists. A brand strategist or connections planner at heart, you’ll play a hands-on role in developing communication strategy for new and existing business opportunities. Perhaps you’re a group planning director and your next natural step is to run a department. You’ve got a track record of contributing to your agency’s creative process, growth, and agency culture and are itching to step into a top decision-making role. 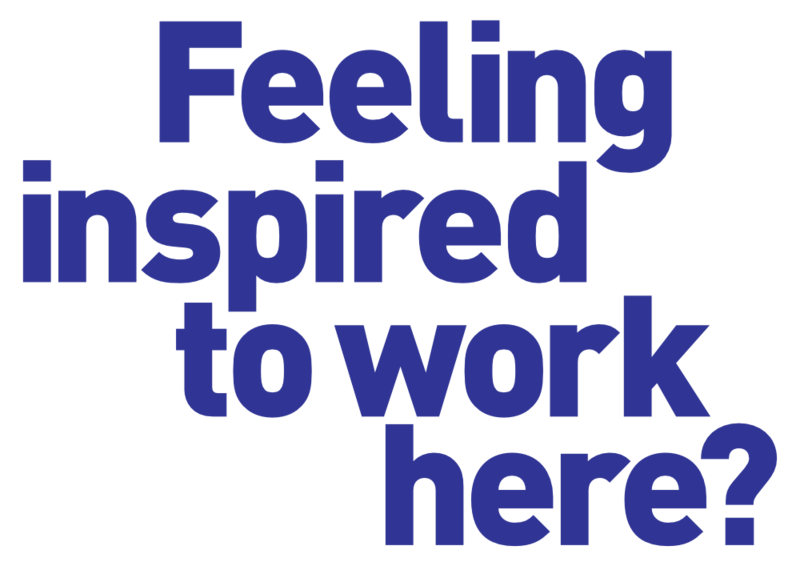 We’re looking for passion and appetite for developing great creative work, first and foremost. Our creatives are excellent strategy partners and are looking to take insight-driven leaps. They hunger to engage in the planning process, and have strategists play an active part of the creative process. The right person will have the ability to drive the strategic thinking process with both sound marketing principles and strong culture-driven insights. And someone who will help us make a mark on the agency world. The Social Media Manager will play a variety of roles on behalf of Peter Mayer’s clients, including developing content strategy, developing brand awareness, generating inbound traffic and cultivating productive relationships with fans and followers of the brand. The Social Media Manager is a highly motivated individual with experience and a passion for designing and implementing a brand’s content strategy, creating relevant, engaging and distinctive content, blogging, community participation and leadership. Clear Objectives: Be able to set objectives or KPIs for social media that support a brand’s overall marketing objectives. It isn’t enough to say you “see” results, results must connect to overall marketing objectives. Great Design and Content Creation: Visual content has a lasting effect on an audience. Whether it’s status updates, videos or Facebook ads, what the audience sees is what they’ll remember. Make sure the content you create and ideate is consistent, compelling and gets your message across. Effective Content Strategy: What you post on a brand’s social channels is the foundation for all your other social media marketing. The Social Media Manager performs brand discovery on social media and elsewhere online, which along with other content developed by the brand planners, outlines what it is about a brand that makes it unique. This includes a brand’s core values, and the reasons people want to interact with and purchase from the brand. The answers should be in-depth and detailed. The second part of brand discovery will describe your target audience. What are their interests, what problems can we solve for them, where does our target spend their time and how can we help them? Quality information that’s relevant to your target audience attracts them and sets your social marketing up for the next steps. Promotion Strategy: You will continually grow our clients’ fan base. Social advertising is a very valuable tool to increase the size of the audience that hears a brand’s message. However, it should only be part of your strategy to expand a fan base. Seeking out fans elsewhere and engaging with them, as well as engaging with fans conversationally, should be a key part of the effort. Engagement Strategy: You will listen, respond, ask questions and engage with your audience conversationally and in the brand’s voice. People will ask questions and you will use your deep familiarity with the brand and target audience to respond accurately and promptly. Conversion Strategy: With growth and engagement strategies in place, your role is to convert fans/followers into customers. You will work closely with the Account Executive to determine what each brand’s goals are in this area in order to achieve the best results. Measure & Analyze to establish ROI: Measure results on a weekly basis and report results on a monthly basis. As mentioned earlier, your results must tie back to the brand’s marketing objectives. Create, curate and manage all published content. Monitor, listen and respond to users in a conversational way while building long-term relationships in order to cultivate leads and sales. Oversee design (ie: cover photos, profile images, thumbnails, ads and blog, etc.). Compile monthly analytics report showing results (ROI) and platform developments or changes. Become an advocate for Peter Mayer’s clients in social media spaces, engaging in dialogues and answering questions where appropriate. Demonstrate ability to map out social media marketing strategy and then drive that strategy proven by testing and metrics. Identify opportunities and risks in user-generated content surrounding the business. Report notable threats to manager. Analyze campaigns and translate anecdotal or qualitative data into recommendations and plans for revising the social media campaigns or activity. Possesses knowledge and experience in the tenets of traditional marketing. Marketing degree is welcomed but not required with relevant work experience. We understand there are a lot of relevant backgrounds to excel at this type of work. Demonstrates creativity and documented immersion in social media. Provide links to profiles as examples. Exhibits the ability to jump from the creative side of marketing to strategic side, able to demonstrate why their ideas are analytically sound. Displays in-depth knowledge and understanding of social media platforms, their respective participants, and how each platform can be deployed in different scenarios. Maintains excellent communication and language skills. Enjoys a working knowledge of the blogging ecosystem relevant to Peter Mayer’s clients. Displays ability to effectively communicate information and ideas in written and photo/video format. Exceeds at building and maintaining client relationships, online and off. Is a team player with the confidence to take the lead and guide other employees when necessary, i.e. content development, creation and editing of content and online reputation management. Peter Mayer welcomes diversity in all it's colors. We are an EOE. Peter Mayer is looking for a seasoned Media Planner who has both traditional and digital media experience. Candidates should be capable of developing campaign that drive client’s ROI metrics and be capable of presenting recommendations or performance reports to clients. Help develop go-to-market plans, partnering with media/connections planning and account directors. Peter Mayer is an EOE--we appreciate diversity in all it's forms: cultural, ethnic, lifestyle. "I'm a Creative" - sounds fun, right? Thinking, dreaming, being aloof and witty, all at the same time......OK, let's dispense with the stereotypes. You have to have the chops to work in our shop. We're on the look-out for creative thinkers and doers - unique individuals influenced by a sound understanding of integrated marketing channels--digi-lovers with a respect for traditional. Whatever iteration of your creative journey you may be in right now, please take a peek at our list below--if you're inspired, send us your portfolio for review and consideration for future openings. Ability to add conceptual thinking to a design, and ability to design out of conceptual thought. Boldly defend for your creative vision, with the ability to passionately and persuasively share that vision with clients and internal teams alike. Exceptional type and layout skills - if you have mad skills in this area, you may be good enough for our Studio. Deep understanding of visual communication trends. Self-starter who manages time and tight deadlines with a great attitude. Ability to communicate clearly with design management, brand navigation, other brand artists and clients about your work. "Interactive Design" should not be a new term to you. Please submit resume and portfolio for consideration. No portfolio = no way for us to know you. Peter Mayer is proud to support diversity--cultural, environmental, experiential. Life happens. We support the twists and turns yours may have taken, and appreciate that it all adds to the flavor of our gumbo. The Account Management discipline forges the client relationship. As champions for the clients' businesses, Account Managers continually educate themselves on their clients' products, industries and any factors that may come into play when building solid brand images. Client Account Management is engaged in driving the day-to-day business: developing projects, obtaining client approvals, keeping agency personnel informed on a given client's point-of-view - all are checkpoints on Account Management's daily "to-do" list. If you're in the habit of continually cultivating the standards outlined below and would like to be considered for future Peter Mayer Account Management positions, please send us your resume for future consideration. Maintains a positive relationship between team members, both internal and external. Ensures that agency output meets agreed-upon strategies and objectives. Exhibits ability to think strategically and apply thoughts/ideas to applicable projects. Consistently stays ahead of client and account needs. Enjoys the challenge of meeting a deadline. Creates an environment that allows for the inclusion of others' ideas. Controls the work flow and progress. Motivates self without prodding or significant direction. Organizes thoughts and writing in clear, concise manner. Balances client satisfaction with progressive marketing standards. Peter Mayer is proud to support diversity - cultural, environmental, experiential. Life happens. We support the twists and turns yours may have taken, and appreciate that it all adds to the flavor of our gumbo.